“The success of Snapchat’s live streams show that they are positioned to continue to grow and become a major player in this space, and we are really keen to get involved early,” Wirth says. “What makes it really unique is that we’re handing over the keys to the Snapchat account to our employees. They will be showcasing what they do on the job every day, often a side of flying that people rarely get to see – like an A380 wheel change, a day in the life of a cabin crew member or the perspective from a tug driver who pushes back an aircraft,” she adds. 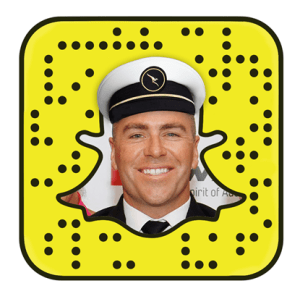 The decision to join Snapchat follows the success of Qantas’ TV program Ready for Takeoff and its Roo Tales blog, which Wirth says gave the insight that Australian’s are interested in what goes on at Qantas. MORE: Earlier this year AdNews broke the story Snapchat was opening an Australian office. Qantas has become the first Australian airline to jet onto Snapchat, giving users a behind the scenes look at the airline from the perspective of its employees. Pilots, cabin crew, engineers, chefs and other employees will be posting every fortnight on the Qantas Snapchat, as the success of Snapchat’s live streams ascend in Australia. 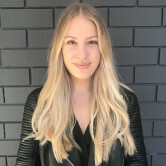 Qantas group executive brand, marketing and corporate affairs, Olivia Wirth, says the airline is keen to get involved early in Snapchat - which has approximately two million active Australian users on the platform each month. MORE: AdNews took an indepth look into how Snapchat has taken the world by storm.